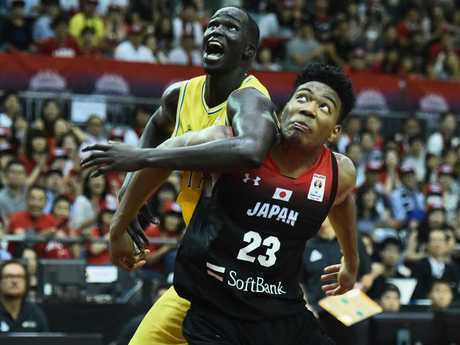 EVEN with NBA players Matthew Dellavedova and Thon Maker bolstering the Boomers line-up, Australia suffered a shock 79-78 upset loss to Japan in the FIBA World Cup qualifiers. The Boomers won their first four matches by an average margin of 25 points to seal a place in the second round of Asian qualifiers on the road to next year's World Cup in China, but Japan shot the lights out at Chiba Stadium, outside of Tokyo. 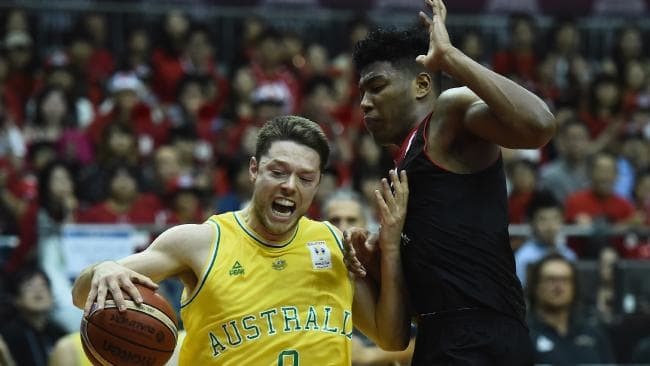 With Dellavedova and Maker coming into the national squad in their off-season from the Milwaukee Bucks, Australia was never able to control a plucky Japanese side ranked 48th in the world - 38 places below the Boomers. Taking in last year's Asia Cup in Lebanon, the Commonwealth Games and the World Cup qualifying matches, the Boomers had won 15 straight matches with their NBL-based squad, but poor shooting and defensive lapses invited the home nation into the contest. 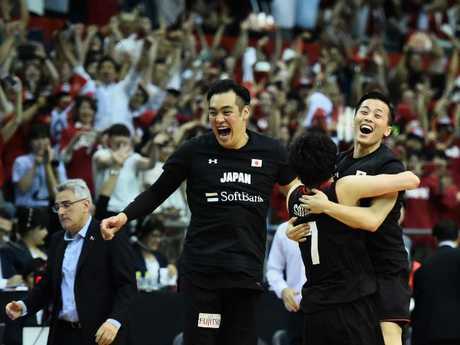 Japan led for a vast majority of the match and held firm in the second half, although Boomers forward Nick Kay missed a shot to put the Boomers in front with less than 30 seconds left on the clock. Kay had another shot to level the scores in the dying seconds but he missed again. Nicholas Ryan Fazekas (25 points) and Rui Hachimura (24 points) were the heroes for Japan, and Chris Goulding had 22 points for the clunky Boomers. Maker finished with 13 points and 12 rebounds and Dellavedova added eight assists. Australia started with Dellavedova, Maker, Goulding, Kay and Kevin Lisch, but it was Japan who led by seven points at quarter-time. The 216cm-tall Maker - in his Boomers debut - made his presence felt early and Dellavedova was the consummate ball distributor and defensive agitator in his first match for Australia since the 2016 Olympics. However, the field goal percentages at the first break told the story with the home nation shooting at 73 per cent from two-point range while Australia hit just 33 per cent of their shots from inside the arc. 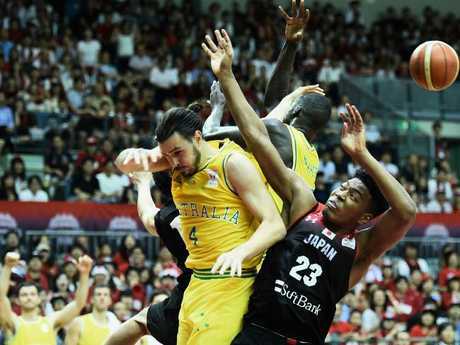 The Boomers were also guilty of forcing up too many three-point attempts, making just two from nine as Australia struggled to break down Japan's zone defence. The Boomers beat Japan by 24 points in their first meeting in November in Adelaide but the Japanese were a different proposition at home. Hachimura and naturalised American Nicholas Ryan Fazekas led the way as Japan extended its buffer to 12 points midway through the second term. Australia reduced the margin to nine points at half-time, with Goulding the only Boomer to find his range offensively. He had 10 points at the break. Dellavedova ramped up his offensive output in the third quarter with drives to the bucket and clever assists as the Boomers roared back into the match as Goulding continued with his hot hand. Japan led by six points at the last break. Australia's final 12-man roster for the World Cup will look vastly different with the NBA and European-based Boomers joining the national side. The Boomers' final match of the first round of qualifiers is against the Philippines on July 2 in a 55,000-capacity stadium in the Philippines.